I bought a camera from china and I can not do many things in it, I only have the following information. It only works on the camHi app and the Hip2p Client program. I would like to know where I get the firmware of this camera and if I can use it on a DVR / NVR. I have also bought a Chinese camera. If you bought it through Aliexpress or similar website, most of the suppliers can speak English and will probably help you to a certain extent. Ok, so they might not know some of the more technical details but they will know URLs to get you going. It is worth a try. As other have said, it is not advisable to update firmware unless you are 200% certain that your camera matches the firmware update. Else, you might easily brick the camera. Hi , I have several of these cam that I bought over a 2 years period mostly Ebay. I am very satisfy of them and got Firmware update from the supplier ( YuCHeng when I did ask them for Backup purpose ) ), but thru google search I have found out that other vendor ( owlcat, Maviotek,LEF,Suneyes )all on AliExpress have their web site to wich some of them do have the Firmware available for download in their support section . The Firmware look like a partial firmware only , what I mean is ,it has been very reliable/forgiving/error proof .I am no expert but I suspect that the reason it is so forgiving is that it do not replace ( primary important kernel boot section )and the Firmware come in a Format like:V10.1.4.5.1-20160825.pkg ( about 6.5Meg size )but if you change the .pkg to .zip you can open the Firmware and look inside ( and see the web page and other )but I did not see password and critical assembly code. Also it seam you can t re-package the Firmware because when it is unzipped it lose the ( checksum or other important information )and it do ( grow in size )and do not work to upgrade the Camera. I have spend a lot of time on the web/Forum looking for information ,but did not find so much info. It seam that for the same hardware( HISILICON H35XX )there is 2 differents Firmware wich are incompatible ( meaning different App on smartphone ) like ( CamHI ,Keye,vipCam,Dericam,XMCam )are not compatible with App like ( vMeyeSuper,XMeye,UMeye )wich is the Firmware they seam to be in all the main thread on this Forum. Can you share firmware V10.1.4.5.1-20160825.pkg? 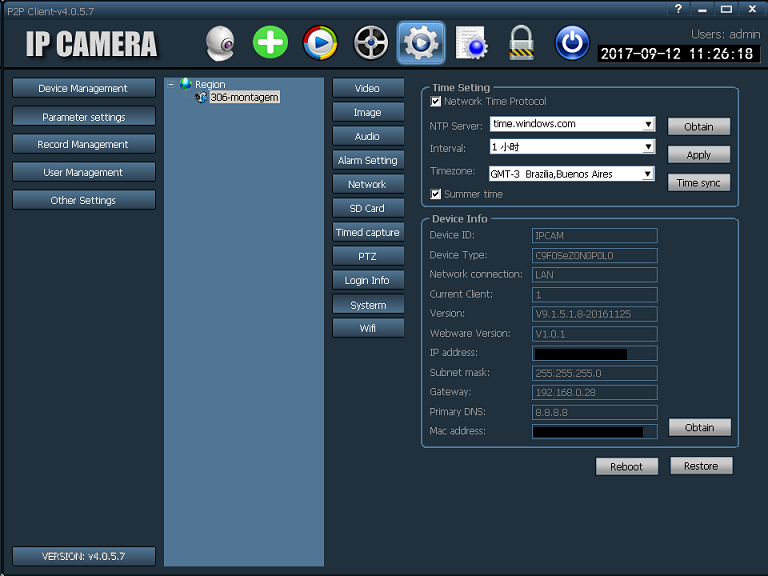 Hi Vasycara , you can download the Firmware = www.ipcam.xin and go at the bottom of the page . I did upgrade several time with no issue but you need to make sure ( no loss of power )while upgrading as it is always risky.